Oh My!!! What an assortment of gorgeous cards I had to drool over this month!!! From flowers, bears and little girl images to even little girls aged 5 showing us that they too are Copic lovers!!! 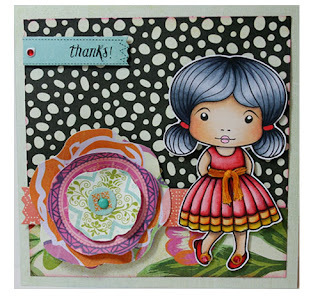 :) A big thank you to everyone for playing along in my challenge this month, I wish I could give a prize to you all!!! 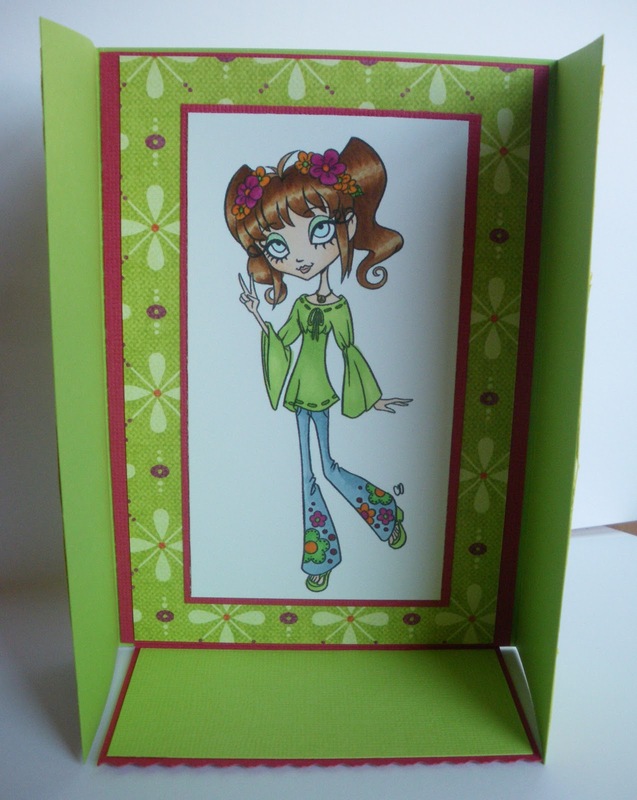 The lucky winner this week is number 6, CRAFTDEE DONNA!!!! Congratulations, you've won 2 La La Land Stamps and an Acrylic Block!!! Please Email Sascha with your postal details so we can send your prize to you!!! There are even more chances to win by playing along with the December challenge, can't wait to see what you create next!!! 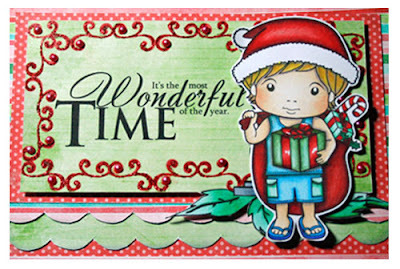 Can you believe it is already almost December ! Its beginning to look a lot like Christmas!!! 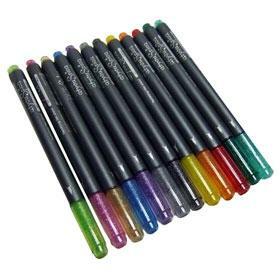 Well at Copic Oz anyway! We have an unbelievable challenge for you this month.... with an even more unbelievable prize! What's the Challenge? 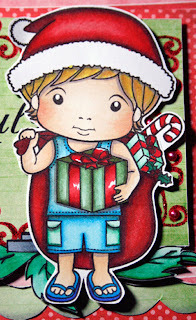 : Create a project (card, layout, off the page) using your Copic Markers to show us your best Copic Christmas creations! Is there a Prize? : YES!! This month the prize is a 12 pack of SPICA!!!! Woohooo! How do you enter? : Use the inlinkz below to connect to your blog or online gallery and upload it prior to 6pm Monday 26th December 2011, Australian EST (4am USA EST)!!! The winner will be announced on Tuesday 27th December 2011. Today, I wanted to show you how I colour pleats, when the pleats are already drawn into the image. Here is the image that I have used. This little cutie is Fancy Marci. I wanted to show you exactly how I coloured her pleats.....so I have made a little step by step movie for you to watch. Let me know what you think .... and please be sure to leave some LOVE!!!!! For those of you in the papercraft community who have been following the journey of fellow blogger and talented papercrafter – Katie Renz, today is indeed a very sad day as we share in the loss of Katie, who passed away this morning. Our thoughts and sympathy are with her young family and friends. So many precious lives are lost each year to cancer which is why Copic Australia chose to support Girls Night (an initiative of the Cancer Council) in 2011. We are pleased that with the support of our Copic retailers and the loyal colouring community, we have so far raised over $10,000.00. We are still waiting on a few final collections (so if you have not sent your forms and collections back please do asap). We once again want to thank you all for your support of this worthy cause which touches the lives of so many. In honour of Katie (and all of those strong and courageous woman who have battled Cancer) Copic Australia is will be adding to our tally by donating an additional $1,000.00 to Girls Night In.